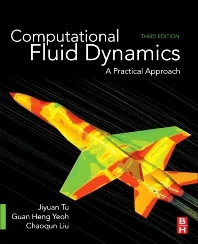 Computational Fluid Dynamics: A Practical Approach, Third Edition, is an introduction to CFD fundamentals and commercial CFD software to solve engineering problems. The book is designed for a wide variety of engineering students new to CFD, and for practicing engineers learning CFD for the first time. Combining an appropriate level of mathematical background, worked examples, computer screen shots, and step-by-step processes, this book walks the reader through modeling and computing, as well as interpreting CFD results. This new edition has been updated throughout, with new content and improved figures, examples and problems.